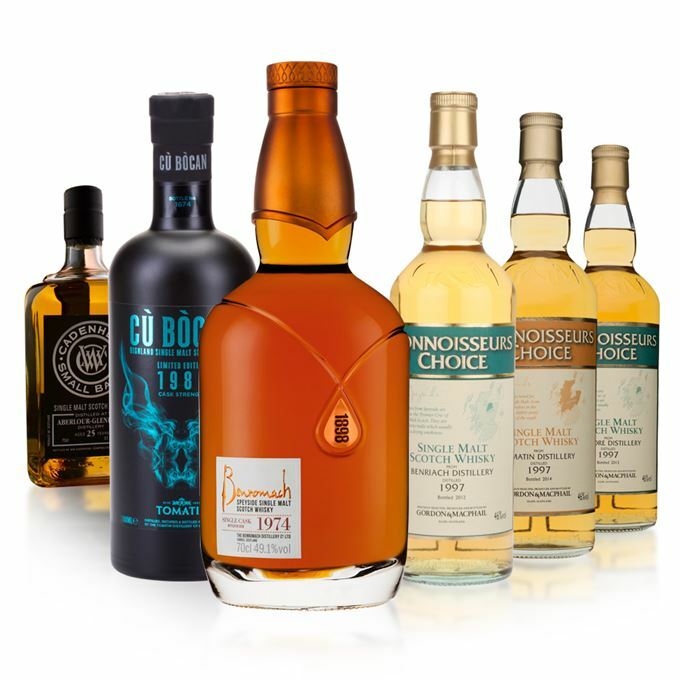 A gang of 17-year-olds from Benriach, Tomatin and Tormore tried and tested next to a peated refill Sherry cask from Cù Bòcan, a 1970s Benromach and a 25-year-old Aberlour. Gosh, this is green. It’s reminiscent of Tequila with its delicate agave notes, which are intertwined with aromas of pineapple leaves, cedar wood and floral tones. Thick, creamy and punchy, it’s rich with tropical fruit – guava, mango and passion fruit yoghurt, with a fair dose of spiciness in the form of cinnamon sticks. Some soapiness develops toward the back palate. Soapy and short, although the addition of water goes some way to resolve the issue. 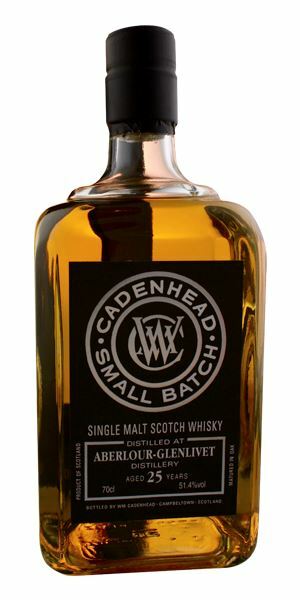 An enticing nose with a – mostly – rich and fruity palate. Hey, two outta three ain’t bad. Shopping for Christmas presents in The Body Shop. By no means intense, there’s a whiff of malt dust and an attempt at some under ripe orchard fruit – green apples and nectarines. With time there’s a gentle hint of Mr. Whippy ice cream and tropical fruit. As intense as the nose, this is an aperitif dram. From the off there is peaches and cream, while water reveals dried citrus peel and a touch of sultanas and spice. Dry and woody. Spicy with water. 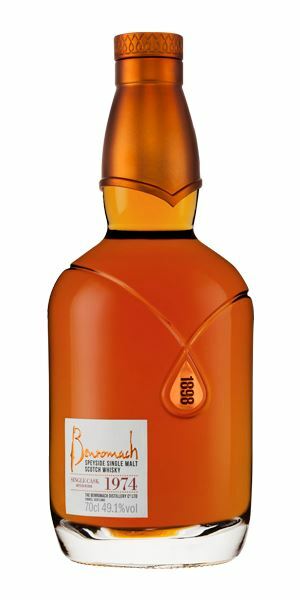 Benriach’s signature fruitiness is tamed into a dram that would make a killer Highball with a lemon twist. Licking fruit splits in the garden shed. Deep and intense – it’s rich with dark chocolate, toffees, liquorice, blackcurrants, caramelised banana, molasses, a touch of smoke and a faint waft of delicate jasmine. Here’s where Benromach’s age develops into a chewy texture and meaty flavour. 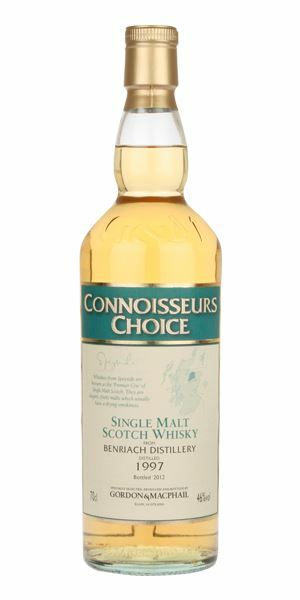 On the mid-palate there’s tobacco, salted caramels, blackcurrant menthols and pepper. Water reveals dried fruit and wood flavours. Rich and long, with a touch of sulphur (the good kind) toward the end. Benromach shows off its ability to age well with style. Discovering late Aunt Mildred’s old leather writing desk, and realising the drawers are full of blackcurrant liquorice, salted caramels and cigarillos. It’s soft, and needs time in the glass to coax it to life. Then, sweet cereal, candied orange, light fruitcake and the caramelised crust of a bread and butter pudding. Soft, thick but spicy. Notes of candied mango and pineapple, lemongrass, vanilla sponge and fruitcake rush forward ahead of black treacle and soft smoke from a log fire. It’s bizarrely floral toward the back palate. 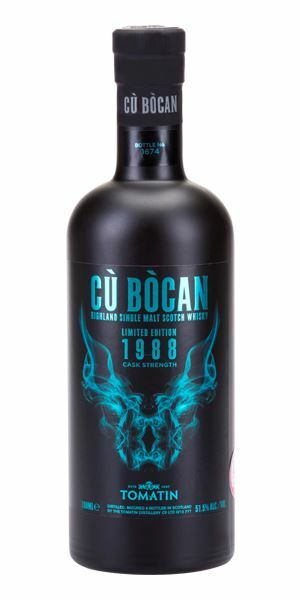 Not too fruity, the peated refill Sherry cask used to mature this iteration of Cù Bòcan lends a subtle earthiness that roots the whisky. Planting geraniums in a summer garden, a log fire burning a few houses away. All the aromas you’d expect from a refill Bourbon barrel – vanilla, wood spice and sultanas – while orange zest provides the fruitiness of Tomatin’s distillery character. Soft and creamy, it’s jam-packed with vanilla-forward treats like custard creams, toasted brioche and bread and butter pudding, laced with dried orange and lemon peel. Water helps release more of its vibrant and zesty fruitiness. Caramelised glazed doughnuts, it’s delicious but, sadly, short. Perfect for ex-Bourbon cask lovers. A vanilla-fest that’s as smooth as ice. Intensely fruity – stewed apples and pears with sultanas, cooked bananas studded with milk chocolate buttons and allspice. Indulgently viscous, it coats the tongue with smooth milk chocolate, Maltesers, crystallised ginger, dried pineapple and Demerara sugar. Not the longest, though rich with bitter cocoa. Sipped from a hip flask snuck into the cinema – in the back row with a bag of choccies, of course. Batch 51 08/07/2016 Two Black Bull bottlings, a double whammy from Blair Athol, a Glentauchers 6YO and a 42YO Tobermory. 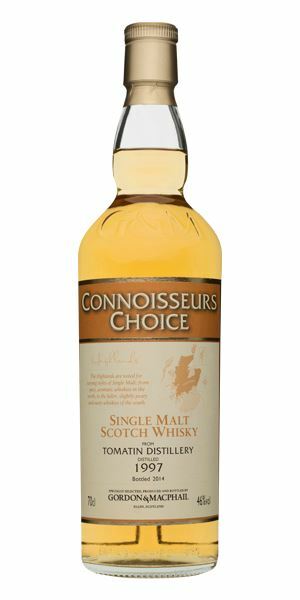 Batch 49 24/06/2016 New whiskies this week include Balvenie Tun 1509, Glen Moray Sherry Cask, Highland Park and Jura.